What is Foot Pronation Distortion Syndrome and What To Do About It? If your doctor tells you that your child has flat feet, they’re talking about the casual term for something called foot pronation distortion syndrome. Flat feet are almost always accompanied by inward rolling ankles. Pronate is a medical term for facing downward. The most obvious symptom of this condition is the way the foot lies against the ground, flattening out the arch of the foot. If left uncorrected, this disorder will cause problems throughout the muscular-skeletal system of the foot. 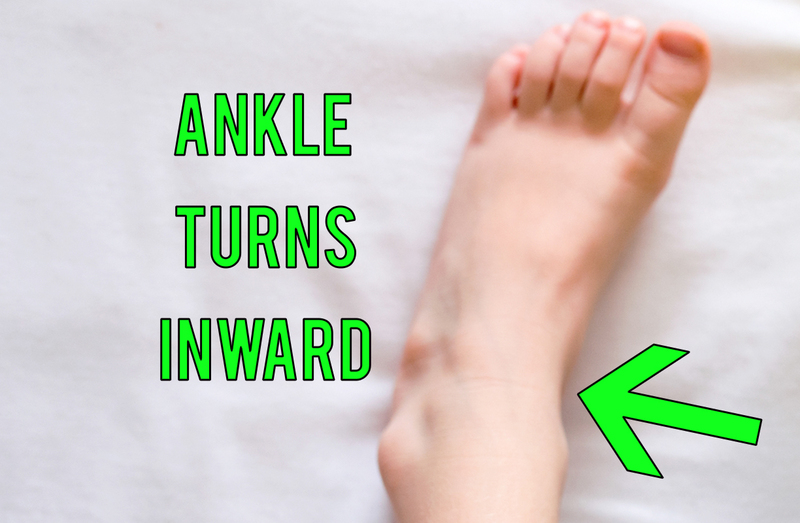 This is because your body is built for your ankle to hold your foot upward not push downward. This is also why posture correcting insoles like Neon Fix are so useful in treating this postural problem. The extra arch support pushes the foot and ankle back up in the correct posture direction. Think about making a tall stack of blocks. If you line each block up carefully, your tower can get quite tall. But if your first few blocks are uneven and poorly placed, it doesn’t matter how neat the rest of your tower is; the tower is more likely to fall. The same is true when feet don’t align properly. Because the feet are falling inward, the knee rotates internally and adducts (moves toward the center of the body). This causes problems throughout the kinetic system, from the hips, to the back, and even into the shoulders and neck. How To Know If Your Child Has Flat Feet? A medical doctor needs to make the ultimate determination of whether your child has pronation distortion syndrome and suggest an appropriate course of action. As a parent, however, you may want o consider your child’s flat feet if you notice that their knees turn inward, that when they stand still, their ankles tend to “collapse,” or if they complain of pain throughout their body. Children who regularly stumble, twist their ankles, or seem generally clumsy may also be struggling with pronated feet. How Is Foot Pronation Distortion Syndrome Treated? In general, flat feet are caused by tight muscles on the insides of the legs and weak muscles on the outside of the legs. This allows the tight muscles to essentially pull the leg and ankle inwards and out of alignment. If your child is diagnosed with flat feet, their doctor will probably recommend that they see a physical therapist. A well trained PT can help them loosen and release the overtight inner muscles while strengthening and building the outer muscles, letting the ankle return to its natural, stable position. In some situations, flat feet are so dramatic or are in place for so long that the ligaments in the foot become permanently lengthened. This makes it very difficult for your child to hold their ankle in the right position, even if they strengthen and release appropriate muscles. This is where shoe inserts can be a big help. How Do Shoe Inserts Support Flat Feet? Since shoe inserts correct the foot’s arch, they can help keep the ankle at a stable position, improve the knee’s rotation, and help the kinetic chain of the muscular-skeletal system remain balanced. If your doctor or physical therapist suggests shoe inserts for your child’s flat feet, make sure to get suggestions about what sorts of inserts would be most helpful. You can also contact us, and we will be more than happy to point you towards the right inserts for your child’s situation. Even using inserts in athletic shoes can make a big difference in your child’s long term happiness and comfort.